Ok thanks, yea issues wise I mean random reboots, phone getting too hot and slowing down etc. I'm talking hardware issues, not software. If its a bug I really don't care because it will likely be fixed. I've been thinking about getting a Lumia 925 for quite some time now, and it would finally be available here in the Philippines on August 19. After going through the comments on this thread though, I'm now a little worried. Regarding the loose back plate, can you guys give me an idea on how tight it's supposed to be? I remember reading a review a while back where they have an attached audio of the sound that the back plate makes when they press it. Do your units have the same sound? Is that normal, or should I look for a unit that has a back plate that's tight and does not make such a sound? Also, regarding the rebooting, it seems like most of the issue is from phones bought from T-Mobile. Or are there other 925s from other carriers exhibiting the same behavior? I have a few of problems with my phone. Sometimes when using Spotify for example, the song and controls won't show up when you press the volume rocker. Sometimes the phone will auto lock itself. Sometimes I won't be able to send text messages and require restarting the phone, and last and probably most important, the battery tends to drain quickly. Oh, and not sure whether it's related to my phone or not, but sometimes the other person on the phone sounds as if they're cutting out. The back plate on my phone isn't in perfect position, but I understand this is normal and it bothers me not because I have wireless charging which also helps with the battery issue. I hear there's a phone update people are getting but nothing shows when I manually check my phone or using that Nokia updater for retailer program, it simply says I can update to the version I already have. What firmware version do you have? 3047.0000.1326.2001 is actual now. I bought a 925 the other day, and just wondered if anyone else has an issue with the vibration being really low? I can't even feel it vibrating in my pocket! even on my desk it hardly makes a sound even when turned all the way up to 30. Is this normal for this phone? Do I have a dud? Many thanks..
Have a T-Mobile 925 and it loses signal every so often and shows no service on the screen. Also having troubles with sending MMS messages, takes about 10-15 tries before it will send. I lose signal a lot too, but I've noticed that in general, my Lumia doesn't get as a strong of a signal as my Z10 in the same areas on T-Mobile. Sitting at my cube at work, I don't have great T-Mobile reception, but my Z10 holds the signal better and recovers it faster than my 925. Sometimes I have wait 5 mins before the signal returns to send a text. Disappointing, this is the first Nokia I've used in probably 10 years. They used to be kings of reception. My old 6200 was insane with holding a signal. Other than that, they phone has been great. Vodafone & O2 2G are both prone to this noise on their networks but it won't be heard using 3G. This type of sound if it is a phone fault is called digital breakthrough whereby the sound on 2G that the radio waves make can be heard through the earpiece. If it is beside a speaker for instance that is the network not a fault of the phone. I there - ordered a 925 from Omegacell in Canada. All three camera apps, Camera, Nokia Pro Shot, Nokia Smart Cam either send me back to start screen, black screen but not hung or tell me "Something went wrong: The camera failed to launch"
Sending it for replacement as soon as I get an RMA. Will reply back. Unlocked Lumia 925 black screen on boot. I have an issue with often booting into a black screen. When I power on the phone, the vibration signals "power on, starting up" but then nothing happens, after a while I can feel (by vibration feedback) when operating the home and back buttons. At this moment the screen is still black but it responds to touch - I can take a photo by first pressing and holding the camera button and then tap on the screen to take a photo (screen still black). I then must press and hold the power button a while (as long as it normally takes to get the "pull down to turn off" message), and then swipe down on the (still) black screen. The phone then turns off and I can retry the boot process. Some times, after booting into a black screen, the lock screen shows up when clicking the power button. The phone then works normally until next boot. And then sometimes the boot process is normal with the Nokia logo showing up first, then Windows Phone logo and finally the lock screen. Man I've just had a random reboot and maybe at 4 or 5 in the last week. I'm not sure why but it feels like its the glance feature doing this. I had it off for a bit hardly no reboots but then I turn it back on it reboots more often. Well, i think nothing is without issues. So question more or less is, what do you mean issue is. This phone of course has some issues, true. As any other phone. From my point of view, of course "stupid phones" were much more reliable then current "smart phones". Thats also true. But doesnt mean i would buy the other phone. I have small issues, but no real issue, that would lead to not to buy the device. You mean that having a bunch of issues, like mentioned all over here is a non issue? For a customer that gets his phone on a two year plan, there is nothing worse than a bunch of issues, that remain unresolved, leaving the customer with a smartphone of dubious utility. For me, there is nothing worse than unresolved software issues that keep spoiling an otherwise good product. Yes, MS is to blame for a large number of bugs is WP8, but Nokia is to blame for all this freeze, camera dead and random reception problems. Like VW is to blame for its many never resolved software problems in its cars. This is also why I avoid Nokia and VW AG products, been burned too often. It seems to me that faulty software is a typical German and Northern European problem. I say, if your Nokia 925 is not top notch, don't be patient, return it and get yourself something else from who makes something that works. It is your own money you are spending, make no prisoners! You work hard for your living! None of you has any obligation towards any mobile phone manufacturer, you are the clients! When I attempt to "reply" to a post here on my phone I literally can't type the keyboard bobs up and down not allowing me to access the keys! That is very annoying and a definite fault. Secondly, the phone gets very warm, uncomfortably so that I need to keep a cover on it for both the heat and for grip because I find this phone very slick and don't want to drop it! Otherwise I do like the phone and camera my only complaint really is the heat it produces. I got a firmware update a couple of weeks ago and since that update mine hasn't had this problem anymore. 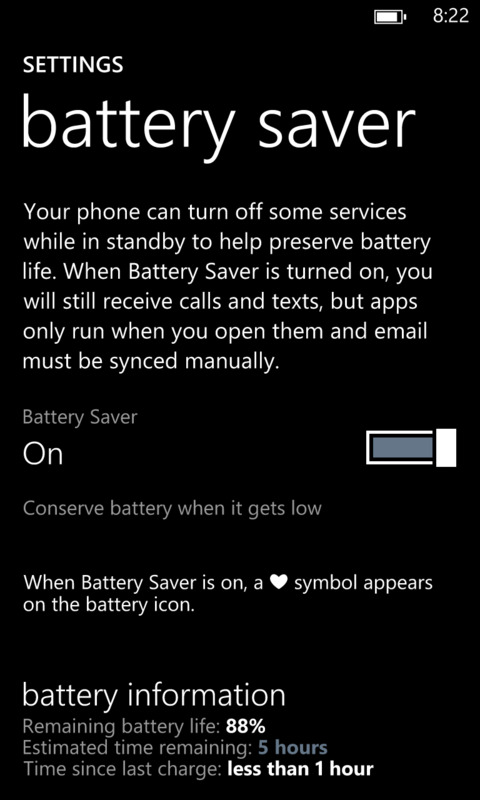 So I got a Lumia 925 last week, and I've had to charge it up to three times a day because the battery drains so quickly. It is also constantly warm, which makes me believe it's an app running in the background. Even while charging, it takes up to five hours to charge instead of the usual two or three. In the last seven days, there was only one charge which completed in two hours' time (this is how it should be), and the phone wasn't hot as it seems to usually be while charging. I've tried rebooting the phone in case the process is killed, but restarting doesn't do anything. Another oddity is that even switching Battery Saver on doesn't help. Battery Saver is supposed to allow apps only in the foreground, isn't it? I'm now in the process of going through my list of applications under 'Background tasks -> Advanced' uninstalling them one-by-one to see which application (if any) is the culprit; this'll take a while. The same apps are installed as were on my HTC 8X (and battery life there was excellent), so it's either an app not playing well with GDR2/Amber or it's a Nokia application causing the problem. Edit: Hmm. Something interesting: if I switch Battery Saver to 'Always on (not recommended)', and restart my phone, the megadrain stops. So this is perhaps an app/process that starts when my phone boots but doesn't stop when battery saver is turned on, unless battery saver is on when the phone boots, in which case the app/process doesn't start in the first place? Edit 2: This is reproducible and a temporary solution (I can't always be on battery saver after all): the phone is stone-cold (room temperature, actually, but the cold metal feels great) after I unplugged it from the charger, switched on Battery Saver to Always On, and restarted. Last edited by jenesuispasbavard; 08-26-2013 at 03:22 PM. The volume of the ringer is incredibly soft! No matter which ring tone I tried with, none of them are actually loud enough to be heard in pockets. Volume is already set to 20/30. Is there some kind of throttling of the volume? I am experiencing pretty much the same problems as most folks in here- very fast battery drain (barely lasts through the day), poor reception. Also screen rotation doesn't always work, it seems to me that I got this problem after recent marketplace software updates.